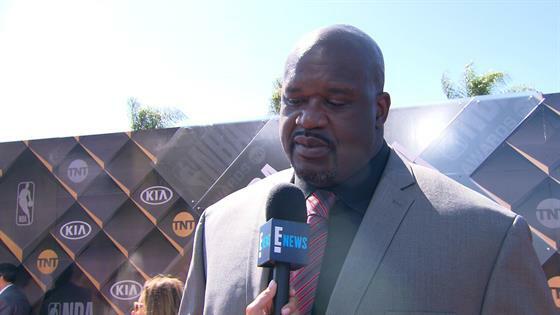 Who Does Shaq Think Will Win MVP at 2018 NBA Awards? Winning games is nice, but winning a 2018 NBA Award is a slam dunk. On Monday night, basketball's biggest stars came together at the Barker Hangar in Santa Monica, Calif., to celebrate the best in the sport. Hosted by Anthony Anderson, the live award show presented by Kia featured performances by Travis Scott. And in between the colorful commentary from Inside the NBA's studio team of Charles Barkley, Ernie Johnson, Shaquille O'Neal and Kenny Smith, fans also watched several talented athletes take home some impressive trophies. In case you missed the show, take a look at the complete list of winners below. The 2018 NBA Awards presented by Kia air Monday night at 9 p.m. on TNT.